1991 — Waku Waku Sonic Patrol Car is released in Japanese arcades. 1996 — Sonic the Hedgehog CD is released for the PC in Europe. 2012 — Sonic Adventure 2 is released for the PlayStation 3 in Europe and Australia. 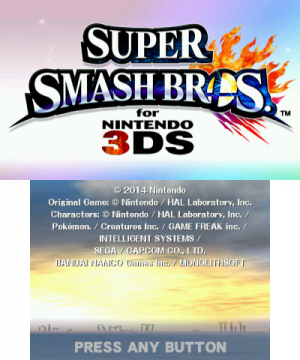 2014 — Super Smash Bros. for Nintendo 3DS is released for the Nintendo 3DS in the United States and Europe, featuring Sonic as a guest fighter. 1994 — Tails and the Music Maker is released for the Sega Pico in the United States. 1999 — "Wedding Bell Blues", the 26th episode of Sonic Underground, airs in the United States. 2003 — "Cracking Knuckles", the 5th episode of Sonic X, airs in the United States. 2003 — "The Beginning of the Disaster", the 27th episode of Sonic X, airs in Japan. 2012 — Sonic Adventure 2 is released for the Xbox 360 in the United States and Europe. 2003 — Sonic N is released for the N-Gage in the United States. 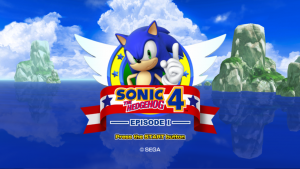 2010 — Sonic the Hedgehog 4: Episode I is released for iOS in the United States and Europe. 2015 — 3D Sonic the Hedgehog 2 is released for the Nintendo 3DS in the United States and Europe. 2007 — Sonic the Hedgehog is officially announced to appear as a guest fighter in Super Smash Bros. Brawl. 2009 — Mario & Sonic at the Olympic Winter Games is released for the Nintendo DS and Wii in the United States. 2010 — Sonic the Hedgehog 4 Episode I is released for the Xbox 360 and PlayStation 3. 1999 — The Sega Dreamcast is released in Europe, with Sonic Adventure released as one of the launch titles. 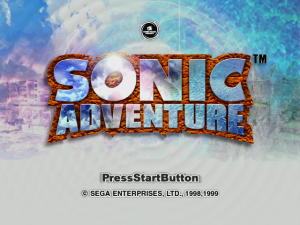 Sonic Adventure International is released for the Sega Dreamcast in Japan. Sonic 3D: Flickies' Island is released for the Sega Saturn in Japan. 1994 — Sonic the Hedgehog Triple Trouble is released for the Sega Game Gear in the United States. 1992 — Sonic the Hedgehog 2 is released for the Sega Master System in Europe. 2007 — Sonic 3D: Flickies' Island is released on the Wii Virtual Console in Japan. 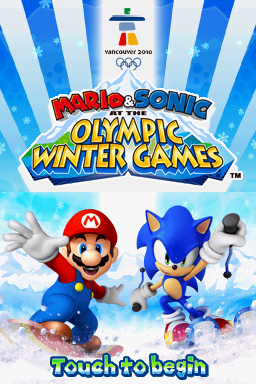 2009 — Mario & Sonic at the Olympic Winter Games is released for the Wii and Nintendo DS in Europe. 1994 — Sonic & Knuckles is released for the Sega Mega Drive in the United States and Europe. 2007 — Sonic Rush Adventure is released for the Nintendo DS in Japan. 2012 — Sonic Jump is released for iOS worldwide, and for Android in Japan. 2013 — Sonic Lost World is released for the Wii U and Nintendo 3DS in Europe. 2003 — "Amy the Captive", the 29th episode of Sonic X, airs in Japan. 2000 — Dreadknux launches his site, The Sonic Stadium. 2013 — Sonic Lost World is released for the Wii U and Nintendo 3DS in Japan. 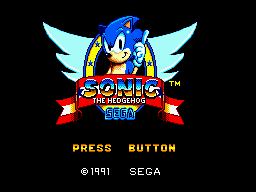 1991 — Sonic the Hedgehog is released for the Sega Master System in the United States, Europe and Brazil. 1992 — Sonic the Hedgehog 2 is released for the Sega Master System in Brazil. 1993 — Sonic Chaos is released for the Sega Master System in Europe and Brazil. 2003 — "Egg Carrier Battle", the 30th episode of Sonic X, airs in Japan. 2010 — Sonic the Hedgehog is released on Steam in the United States, Europe and Australia. 1962 — Jun'ichi Kanemaru, the Japanese voice of Sonic the Hedgehog since Sonic Adventure, is born in Koufu, Yamanashi, Japan. 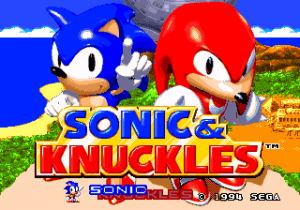 2009 — Sonic & Knuckles is released on the Wii Virtual Console in Japan. 2016 — Sonic Boom: Fire & Ice is released for the Nintendo 3DS in Japan as Sonic Toon: Fire & Ice. 1992 — Sonic the Hedgehog 2 is released for the Sega Game Gear in Europe. 2013 — Sonic Lost World is released for the Wii U and Nintendo 3DS in the United States. 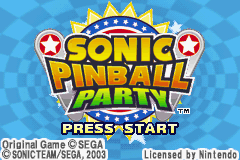 2003 — Sonic Pinball Party is released for the Game Boy Advance in Europe. 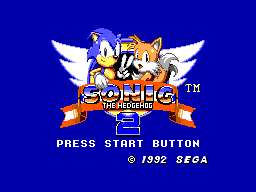 2012 — Sonic the Hedgehog 2 is released on the Nintendo 3DS Virtual Console in Japan. This page was last edited on 20 June 2015, at 13:37.